Hello, fellow paper crafters! 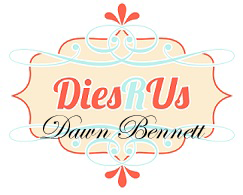 It's Dawn with you today with my next post for Dies R Us. Today I have a Christmas card to share with you. 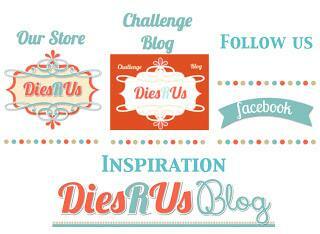 Assemble the dies you are going to use and cut them out using cardstock of your choice. I cut the tree out 2 times using green mirrored cardstock and once using Ivory pearl cardstock. I cut the Merry Christmas out 2 times, once in green mirror cardstock and again in ivory pearl cardstock. layer the 3 tree cutouts on top of one another, I used glue to adhere them together. I cut my card base to 5 1/2" square. I then layered a piece of 5 1/4" square green glitter cardstock on top of my card base. I added my tree to the right side of the card front. I then added the sentiment, I offset the 2 cut outs to show the ivory behind the green to make it stand out more. I also added some gold dots to the center of each snowflake on the tree. Simple and beautiful!! Love the touches of gold on the tree! This is just wonderful! So pretty!